Professional and Courteous Service, Always. Let A.T.S. Towing be your Preferred Service Provider. With contract towing to 11 local new car dealerships and more than 30 privately own service centers. A.T.S. Automotive Transport Service is the preferred service provider for East Charlotte Nissan, Keffer Jeep Chrysler Dodge, Liberty Buick-GMC, Carolina Volkswagen, Volkswagen of South Charlotte, Audi of Charlotte, Larry Jay Mitsubishi, Scott Jaguar, Keffer Pre-owned South, Planet Suzuki, Capital Ford of Charlotte and many many more. Owned and Operated by Phillip Carias, D.B.A. 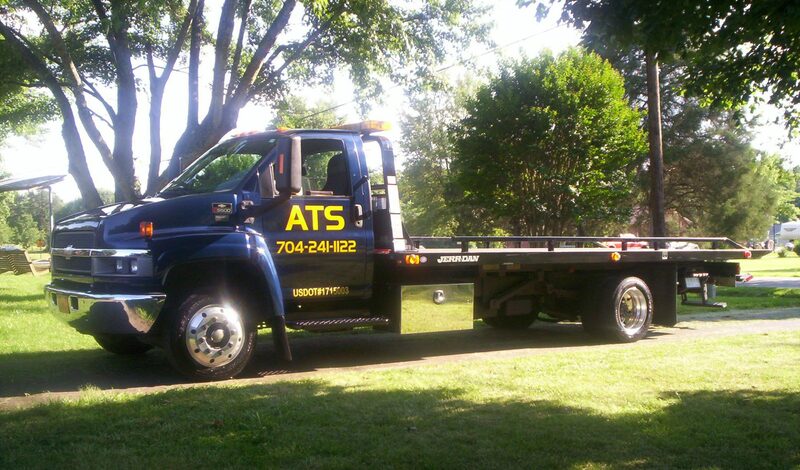 Automotive Transport Service, Charlotte, NC.